No doubt, the economy is gloomy. But how are you doing? It's a question the candidates are asking - and an issue that Americans are dealing with every day. NEW YORK (CNNMoney.com) -- The statistics are grim: Inflation is at a 17-year high. Unemployment is rising. Foreclosures are spreading. For many Americans, however, these figures are simply numbers. They are still gainfully employed and paying their mortgages. Sure, they are shelling out more for gas and groceries, which might prompt them to skip a movie or a dinner out. But overall, they are still better off than they were when America's last recession ended in November 2001. 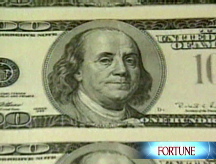 An online poll on CNNMoney.com reveals a surprising number who say they are better off. For others, of course, the picture looks much different. They are the statistics. These are the people who have lost their jobs and are struggling to hold onto their homes. Soaring prices at the pump and the supermarket have shattered any hope they can crawl out from under their debt. There's no question they are worse off than they were seven years ago. Are Americans better off? It is one of the signal questions of the presidential election, and both Republican John McCain and Democrat Barack Obama are asking voters to ponder it. There's no single answer. Economists can argue the matter either way, depending on the figures they point to. But for most people, the answer depends on their personal situation. Over the next several weeks, CNNMoney.com will explore the issue in-depth. We'll ask the question in a number of ways and then tell the stories of families and people of all walks of life. As a start, submit your opinions - as well as photos and video - via iReport.com. Click here to begin. So how do you determine whether you are better or worse off, especially in the face of today's crumbling economy? Here are things you can to think about to determine your situation. Employment: The foundation of most people's economic well-being is their job. Are you still employed and is your job relatively secure? If you've lost your job, will it be hard for you to land another? On a national level, the unemployment rate is on the rise, hitting 5.7% in July, which is just where it was in late 2001. But the jobless numbers usually climb for months, if not years, after a recession ends. It took until June 2003 for unemployment to hit its peak at 6.3% the last time. "We could easily get there sometime early next year," said Scott Hoyt, senior director of consumer economics at Moody's Economy.com. Income: Even if you've held a steady job since 2001, you may have seen your wages go down or remain flat relative to inflation in recent years. Is your take-home paying going as far as it used to? Have your hours at work been cut? If you switched jobs, were you forced to take a lower-paying one because you couldn't find anything else? Nationally, Americans' income has not kept pace with inflation since the last recession ended. In fact, workers' median weekly earnings slipped to $723, down 1.2% from $732 since the end of 2001, in inflation-adjusted dollars, according to Jared Bernstein, senior economist with the Economic Policy Institute. Workers suffered similar stagnation in wages in the 1980s, he said. But productivity grew even faster this decade, meaning employees shared less of the fruits of their labor. "In the 1980s and in the 2000s, you got nowhere if you were the median worker," Bernstein said. This stagnation is becoming ever more painful as the price of basic goods such as food and fuel soars. Inflation hit a 17-year high of 5.6% in July. Housing: The crumbling housing market is at the root of much of America's current economic instability. Some homeowners, particularly those who bought in the past three years, are seeing steep drops in the value of their properties. Nearly 30% of people who bought homes in the past five years owe more than the house is worth, according to Zillow, a real estate Web site. At the same time, many are facing jumps in their mortgage payments as their rates reset. Anyone in this situation, obviously, is feeling the pain. But overall, Americans' homes are still worth more than they were in 2001. Home prices nationwide are now where they were at the end of 2004, according to Zillow, even though they are down 13.3% from their peak in the second quarter of 2006. If you bought before 2001, consider whether your house is worth more or less now. It may not command the sky-high prices that it did during the bubble, but is it worth less than when you bought it (taking inflation into account)? Only two areas - Detroit and Ann Arbor - have seen values drop below 2001 levels, according to Zillow. If you bought more recently, think about your future plans. If you aren't going to move anytime soon, will you have enough time for your home to recover its value? Net worth: You may not be worth as much as you were during the housing bubble, but how about compared to 2001? Have you managed to sock away more money in your 401(k) or bank account? Are your investments worth more? Do you have more equity in your home after years of mortgage payments? If so, you may be wealthier than you were at the end of the last recession. Many Americans are. The total net worth of U.S. households now stands at $56 trillion, up 40% from $40.6 trillion in 2001. Debt: Americans have been piling on the debt this decade to fuel their spending habits. Are you deeper in debt than you were seven years ago? Do you owe more on your credit cards and have less equity in your home? You wouldn't be alone. People are now shelling out 14.1% of their disposable income to cover their debt payments, up from 13.4% in 2001. Consumers are also having a tougher time keeping up with the debts. They have fallen behind on 4.61% of their outstanding debts, up from 3.18% in 2001, according to data from Equifax and Moody's Economy.com. This is primarily due to a surge in mortgage delinquencies, though late payments on credit card are on the rise, as well. "Americans are in a much weaker position than they were in 2001," said Dimitri Papadimitriou, who heads The Levy Economics Institute of Bard College. "American families are feeling the stress." Consumer sentiment: Regardless of what the economic statistics show, Americans are certainly gloomier than they were at the end of the last recession. The Conference Board's Consumer Confidence Index now stands at 51.9%, down from 84.9% in November 2001. The unease encompasses both their own situations and the nation's. Respondents are more concerned about finding jobs and think business conditions will worsen in coming months. How are you feeling about your personal financial situation? Are you concerned about the economy? Have you made any changes in your spending or saving because of these sentiments? People's views have a greater effect on the economy these days since consumers are more likely to act on their feelings, experts said. So if they are worried about their financial well-being, they'll be more likely to pull back on their spending. This, in turn, hurts the economy. "If there is a bit of a dark cloud, the impact on the real economy is bigger than it was in 2001," said Michael Rizzo, economics professor at the University of Rochester. "Whether justified or not, expectations matter. It puts a brake on the economy." Share your story: Are you better off?